Hot summers can be rough in pregnancy! 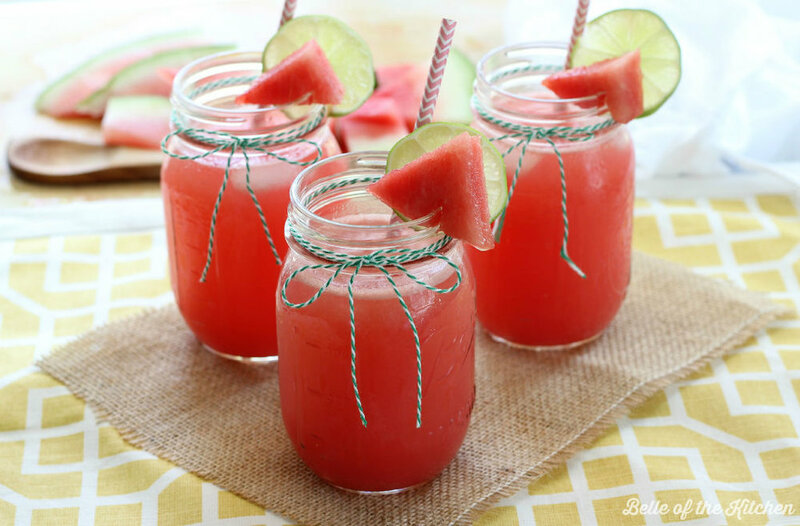 Cool off with this yummy Watermelon Lemonade Mocktail. Combine all ingredients in a blender, starting with the watermelon. Add the ice in 1 cup at a time. -> Check out our blog for great recipe ideas! Be Mindful of Meals and Snacks! Drink 80 ounces of water daily. Adding lemon or lime to your water is a great way to make it a little more interesting! Hold yourself accountable and purchase a reusable water bottle and keep track of how many you have to drink each day to reach your goal. Basic Supplements to keep on hand! Multivitamin: Try and find a food-based multi. These are easy to digest and absorb. B complex: B vitamins have an important role. They help convert our food into fuel for our body, providing more energy throughout the day. Adrenal Support: Continued stress causes fatigue of our adrenal system. There are many ways to help keep the adrenal system strong and well supported. Some examples include: Vitamin C, Magnesium and B vitamins. There are also a few herbs that are helpful but my favorite is Rhodiola Rosea, which can be taken as a capsule or tincture. Fish Oil: Fish oil supports healthy cholesterol levels and also is a great mood booster! Vitamin D3: When choosing a Vitamin D3 supplement, it should have at least 5,000 IU. Not only does healthy levels of Vitamin D3 help maintain a health immune system, it is also another great vitamin to help with mood. Exercise. Yoga is a wonderful way to calm your body down and rejuvenate. Reading. Grab a book or magazine find a quiet place and let the world round you melt away for a little while. Laugh. Get a few girls together and have an hour or two of fun and laughter. It does wonders. Take a bath. Buy some Epsom salt and your favorite essential oil and take a 15-minute bath before bed. Don't miss Dr. Amy Johnson-Grass next Sunday, September 11 at 11:00am on the Mom Show with my Talk 107.1. The topic is A Road Map for Moms: Beating Stress and Overcoming Fatigue. You probably didn’t think it was possible that someone would recommend nachos as a healthy food while you are pregnant. It sounds just about as likely as your midwife recommending you visit the McDonald’s drive-thru. But, believe it or not, these nachos are actually healthy. Loaded with fiber, calcium, protein and folate, here’s how to feel like you’re cheating without actually cheating. Layer corn chips with kidney beans, olives and shredded cheese on a baking sheet. Bake in oven or toaster oven for approximately 10 minutes or until cheese is melted. Top with shredded lettuce, tomatoes, salsa and Greek yogurt. Avocados have been called the pregnancy superfood and now you can even have them for dessert! This delectable Avocado Chocolate Mousse is rich in potassium and folate, both which are essential in pregnancy. This recipe feels like an indulgent treat but has the added bonus of being packed with pregnancy approved nutrients! Place all ingredients in a food processor or blender and blend until smooth, scraping down the sides as needed. Serve immediately or place mousse in an airtight container to save for up to 2 days. Serve in bowls garnished with your choice of berries.